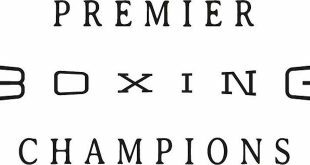 Veteran promoter Don King believes that Devon Alexander will become his latest World Champion at the expense of Junior Witter this weekend. Witter will attempt to regain his old title at the Agua Caliente Casino in California on Saturday night with the vacant WBC Light Welterweight title on the line against the undefeated Alexander. 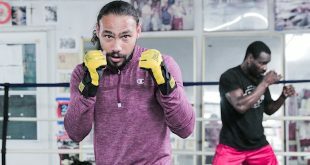 King has overseen the 22-year-old St. Louis native’s impressive rise up the light welterweight rankings and he believes that Alexander has the potential to become a major star. "I saw something special in Devon from the beginning,” revealed King. “He doesn't drink, smoke or take drugs. He takes care of his body. His smile lights up a room. He's also a great role model for young people. I can't say enough good things about this talented young man. "Now he has received an opportunity in the land of opportunity and he plans to make the most of it. 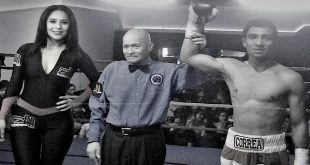 Those in attendance at Agua Caliente and watching across America on Showtime are going to see a very special young fighter win his first world title." Naturally Witter has other ideas and he’s determined to reclaim his old belt with a dominating win over Alexander. "I'm going to go out there and do my thing because as long as I perform to my best then I know that the title’s coming back home with me,” predicted the Bradford switch hitter. “I know I’m good enough to beat Alexander so it’s all about me fighting my fight. I’m not going to worry about what Alexander has planned. I’ve watched him fight and he’s a talented guy. Although Alexander had a smooth rise to the top, Witter plans on showing Devon the other side of the pro game on Saturday night. “He hasn’t had to face adversity yet in his career because everything’s gone his way so far and he’s probably expecting that to continue. "The fight is in the U.S. so everything’s in his favour but Junior 'The Hitter' Witter loves a challenge and the Hitter's going to take his title back home." Witter is adamant that he will be back to his best after admitting to a below par performance in losing the WBC title on a split decision to American Timothy Bradley in May of last year. “I had some problems outside the ring going in to that fight and it actually led me to overtrain. I didn't rest my body enough and I wasn’t eating properly but I’ve addressed those problems and the training camp for this has been great. Alexander has also arrived in California from his training camp brimming with confidence ahead of the biggest night of his career. “He's already had the title we're fighting for, and I feel like it's my turn now,” said Alexander. “I'm not stopping my undefeated run for anyone. I'll never have a chance at the biggest fights in the world against Floyd Mayweather or Manny Pacquiao unless I win this. "I've watched tapes on Junior Witter and he's a crafty, slick fighter that likes to take pot shots at you when he gets the opportunity. My goal is to give him something where he will not be able to stay with that all night. I want to dominate him for 12 rounds. I want to be smart and aggressive at the same time." Alexander says that fighting for the World title will fulfill a childhood ambition. "It means a lot to me to be fighting in my first world championship match," he said. "I started in boxing when I was seven. I come from a rough St. Louis neighbourhood where most people go to jail or end up dead. Alexander’s trainer Kevin Cunningham is in no doubts about the outcome of Saturday’s contest. "This is a terrific opportunity for Devon," said Cunningham. "He's been preparing for this moment since he was eight years old when I heard him say he wanted to fight for the 'green belt' of the WBC. "Training has gone great. Devon is peaking at the right time. He's been excellent in training and sparring. He's looking spectacular. The kid is definitely ready. "From what I've seen in Witter, I see an experienced, savvy veteran that can be awkward at times but I think a sharpshooter like Devon can make him pay for his mistakes. "Youth, speed, talent and persistence are things that Devon is blessed with so he can overcome anything he put his mind to. It's just a mater of execution. 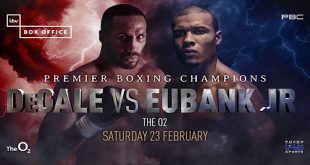 I think at some point in this fight it's going to come down to the fact that Junior Witter is going to realize he's in the ring with a young, hungry and extremely talented fighter that will prove that he wants it just a little more."